One of the possible unexpected psychological effects patients may experience after having rhinoplasty can be a sense of loss of identity. This occurs when one experiences a disconnect with their new physical appearance which they either can't accept or takes a long transition period to get accustomed to.One who undergoes a multitude of initial cosmetic procedures at once or within a short period of time, are more prone to suffer from this syndrome, versus someone who has a single or few minor cosmetic changes. However the nose is a prominent feature of the face, and therefore a very large proboscis that is dramatically reduced or reshaped after initial rhinoplasty can have dramatic psychological effect creating a self identity crisis. For example pre-rhinoplasty I had a very large hooked crooked nose. After my initial rhinoplasty i ended up with a over shaved bridge, which created a ski sloped nose with a over projected tip. The look (which was very contrasting with my original nose) never fitted in with my round face, and looked unnaturally long resulting in a Cyranno type appearance. Others who may likely experience this syndrome are those belonging to certain ethnicity, race or have a family physical trait. A middle eastern person or a descendant of, may want to keep a more rounded profile or lowered tip then a 'perfectly' straight septum, or a Colored or Asian individual may want a wider nose then the Caucasian standard ideal nose. Another group who would be susceptible to this identity loss syndrome (I.L.S.) would be those who feel a reduction in their gender defined degree of physical characteristics. A male may feel emasculated if he always had a more rugged 'Roman like' shaped nose , and then after rhinoplasty ended up with more feminine looking nose (more obtuse nasolabial or nasofrontal angle). Same could hold true for women who have petite features and end up with a more masculine nose, due to more acute tip angle, or increase in size/shape of their new nose due to cartilage replacement grafts. Another subgroup are those who feel a disharmony between their physical appearance and their personality type. This can occur where one ends up with a nose shape that makes them look rugged/ more aggressive looking or weaker/softer looking which is in disharmony with their type of personality. A person may also associate and develop a strong negative feeling with their new look not based on gender issue's but because their new look simply resembles a character type they view negatively or very foreign. 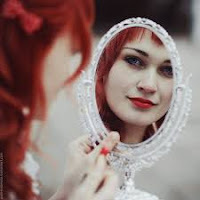 One other group who may experience I.L S. are people who have become very accustomed to their facial imperfection (i.e.slight deviated septum, or asymmetric nose), which had become subconsciously a personal identity marker. This is why it is critical for the surgeon and patient to be on the same page, as to what result the patient is seeking. 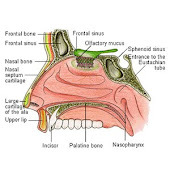 However a patient seeking primary rhinoplasty may not know what they really want. It may be wise for the surgeon to have a questionnaire that can address these questions, and issue's, just before consult, so the surgeon can further explore these possible issue's that even the patient may not of been cognizant of prior to making the appointment. A follow up appointment may be needed to give time to the patient to be more specific about what cosmetic change their seeking, and to figure out what they like and don't like about their nose. The use of a picture or computer imaging is very useful to experiment with different looks at different angle views to give the patient an idea of how they may appear post rhinoplasty. Young patients may need to realize and be counseled that their favorite celebrities nose(s) may look totally wrong with their facial features. The loss of identity one can suffer after a poorly performed, overly aggressive, or ill advised nose surgery is something surgeons do not talk about. It should be part of "informed consent" as the effect of losing one's identity can be psychologically brutalizing beyond anything one could imagine. Kudos to you for writing about this very real, but closeted and devastating complication. I have suffered from this very syndrome for over twenty years. I underwent surgery on my nose at the tender age of 14 after the suggestion was made by my older sister. It was a terrible mistake for such a young girl to first of all be told she wasn't pretty enough and needed to be altered. And to then have her facial features tampered with before she'd even stopped growing. That surgery has haunted me my whole life as I wasn't able to even find out what I would have looked like as a grown woman.